Dry shampoo is one of my favorite styling products I am using right now. And i think the Rene Furterer Naturia is one of the best ones available. It's a great way to maintain your hairstyle between washes and also to avoid washing your hair too often. 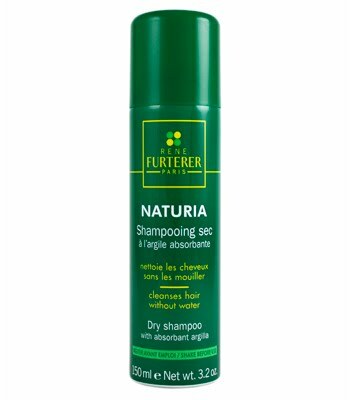 It's super easy to use and it leaves your hair looking fresh as if you had just washed and blowdryed it. I keep one in my gym bag, one at home, and I always travel with one. In fact, every time I use it at the gym I get questions about it and how it works. It's also great because it comes in a 1.6 oz and 3.2 oz bottle. To use it, just spray onto hair at a distance of 10 inches. Leave on for two minutes, then brush out.